5 makeup no-nos: Don’t, just don’t. As Marilyn Monroe once famously quoted in her light breathy voice, as if like smoke on gossamer, she went, “Beneath the makeup and behind the smile, I am just a girl who wishes for the world.” That’s true, but makeup plays an important part in our society today – First impressions, job interviews, cheerleading tryouts, trying to impress that cute guy at the salad outlet that you frequent, the possibilities are endless! Beauty is all about being comfortable being who you are, but all that isn’t worth anything if you’re rampaging around Singapore looking like something the cat dragged in. This one speaks for itself. The idea of concealer is to draw LESS attention to your flaws, not highlight your artful ‘coverup’ skills. No one likes pencil thin eyebrows from the 90’s. For picture inspiration, here’s Miss Fox before and after she shot to international stardom. Contouring can be both a boon and a bane. On one hand, it can give the illusion of a slimmer face with cheekbones like ice shards. On the other hand, it could make you look like a 40-year-old with a 5 o’clock shadow. Unless you’re an SIA air stewardess, or a dim sum dolly, STAY AWAY FROM THE BLUE SHADOW. It’s a universal shade that expresses an violent unsightly similarity to peacock mating calls. Halloween? 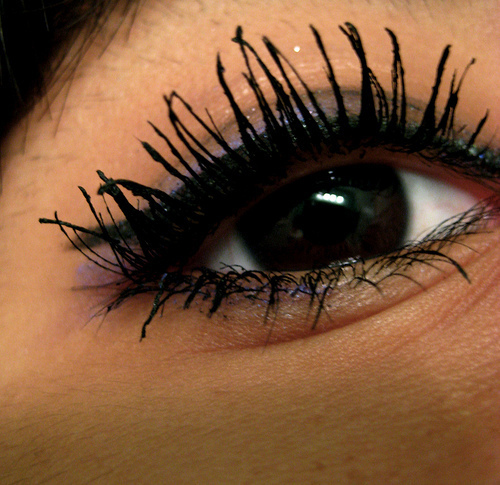 Girl, wait 30 seconds before applying your second coat, instead of piling on the mascara like frosting on cake. It doesn’t work that way.